Cancer is the second leading cause of death globally, and is responsible for 1 in 6 deaths. Many cancers are due to genetic mutations from environmental and life style factors such as diet, tobacco, infection, pollution, and sun exposure. Some cancers are due to inherited genetics. The chance of survival depends on the type of cancer, stage of diagnosis, and the extent of the disease. Screening for early detection and genetic testing can increase the rate of survival. Many treatment options are available including surgery and chemotherapy depending on the type, location and the patients’ health. A recent study proposes a potential new target for treatment of breast and pancreatic cancers. Researchers identified USP15, a deubiquitinating enzyme, as playing an important role in maintaining genome stability and tumor suppression. USP15 deletions occur in 16% of breast cancers and 5% of pancreatic cancers. 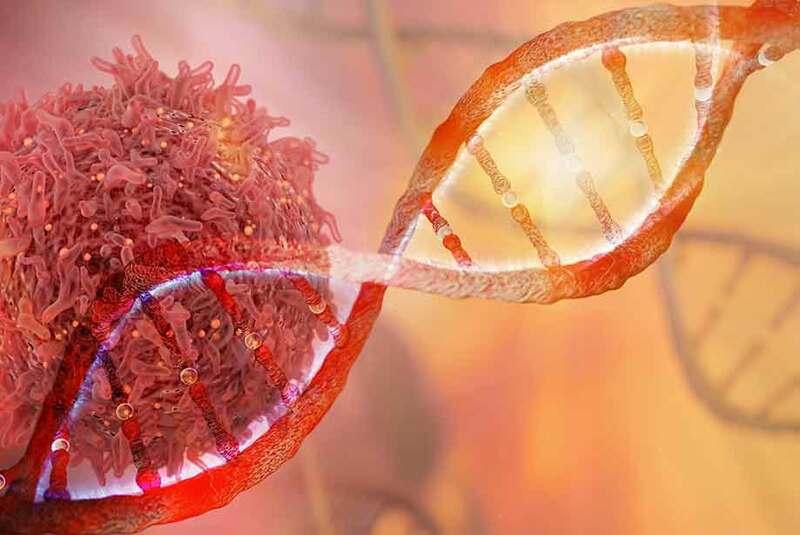 The data suggest that cancer-linked USP15 mutations can increase poly ADP ribose polymerase (PARP) sensitivity in cancer cells. PARP inhibitors are a therapeutic target, especially for patients with cancer, including BRCA mutations. These findings make USP15 a potential biomarker for cancer as it regulates homologous recombination and cancer cell response to PARP inhibitors. Future research is needed to identify potential USP15 inhibitors. Enzo Life Sciences provides a wide range of products for all your Cancer and Epigenetics research needs. Our platforms provide a wide range of small molecules, antibodies, and proteins including our USP15. The SCREEN-WELL® Cancer Library is a collection of 275 compounds that can be used for cancer inhibitor screening and assay development. Our UBIQAPTURE-Q® Kit and Ubiquitinylation Kit are versatile tools for your ubiquitinylation research needs.